Binky Barnes: Dog Or Man? Binky Barnes is perhaps the most complex, compelling and realistic character ever portrayed on children’s television. Binky Barnes is perhaps the most complex, compelling and realistic character ever portrayed on children’s television. The often overlooked anthropomorphic bulldog is as multifaceted and flawed as Odysseus. 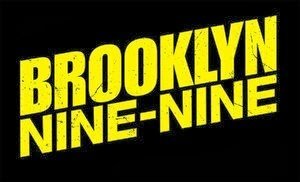 It would be a disservice to completely ignore such a well-constructed character that has truly stood the test of time. Binky is a tortured soul, constantly hiding his love for the finer things behind a brutish mask of extreme virility. According to the Arthur wiki, “he dances ballet, plays the clarinet and flute, and is a lepidopterologist (butterfly collector).” These are things that our western culture, and indeed the culture of Elwood City considers effeminate; as a result, Binky hides these interests because he fears the ridicule he would receive if he was found out. But why does he hide them? There are plenty of characters who are forward with their more eccentric hobbies. Prunella, for instance has no shame in divulging her affinity for the occult, as evidenced by her love for fortune telling and Henry Screever (a Harry Potter parody). Is Binky so ashamed of the activities that make him happy he sees them as lower than devil worship? Why does Binky so loathe himself? What made him this way? To uncover the answer we have to go deeper down the Binky-hole. Binky is overprotected, and as a result feels emasculated by his parents constant affection. Freud posits in chapter three of "An Outline of Psychoanalysis" that early childhood mental development is heavily effected by parenting style, and neglect in any one of the child’s steps in development could result in a lasting mental strain. Perhaps, when Marc Brown created the character Binky, he intended him to represent a deep suppression of the id, as a result of his parents affection. It would certainly make sense. 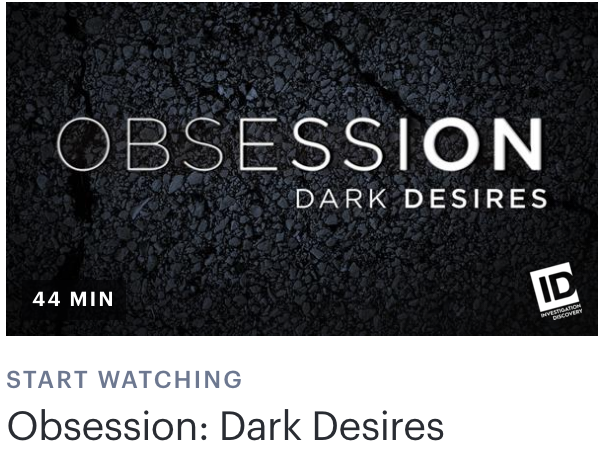 Binky covers his true desires with ferocity and lives a lie of who he wishes he was. Instead behaving as he truly wishes to, he constantly overcompensates with absurd displays of false masculinity. This is no better conveyed than in the episode “D.W. Dancing Queen,” wherein Binky is assigned D.W. as his preschool buddy. To his horror, D.W. seems to be the personification of his id, his most secret urges. She expresses great interest in butterflies, unicorns, and Binky’s greatest, most suppressed passion: ballet. Binky’s first reaction is disgust at this, his higher consciousness attempting to keep this side of him repressed, but he eventually caves to the desires of his subconscious and teaches D.W. ballet. The almost immediate result of his endeavor is further ridicule from his friends and D.W. telling him he is a bad teacher. From this, it’s clear that when Binky feeds his unconscious desires, it results negative feedback, and ultimately more repression. In an episode entitled “The Contest,” the characters are shown as they would appear in ten years. Binky appears much like one would assume. He wears a leather jacket and shades, appearing to be some sort of bouncer or in a biker gang. 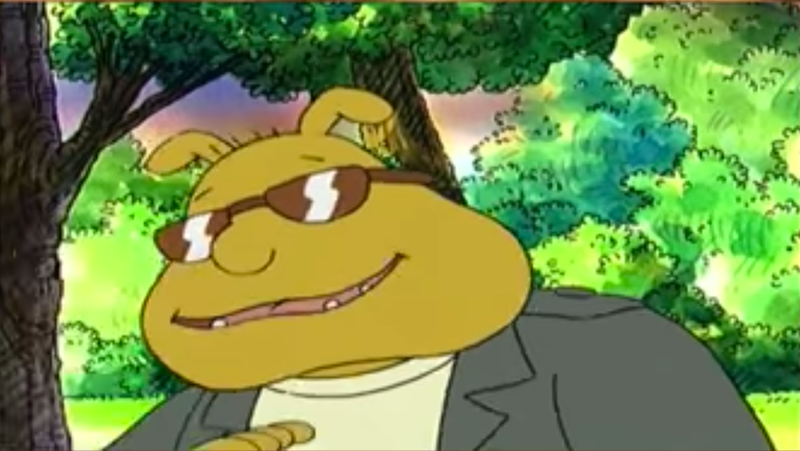 Based on this, it becomes clear; throughout the timeline of the entirety of "Arthur," Binky never resolves his disconnect with his unconscious self. 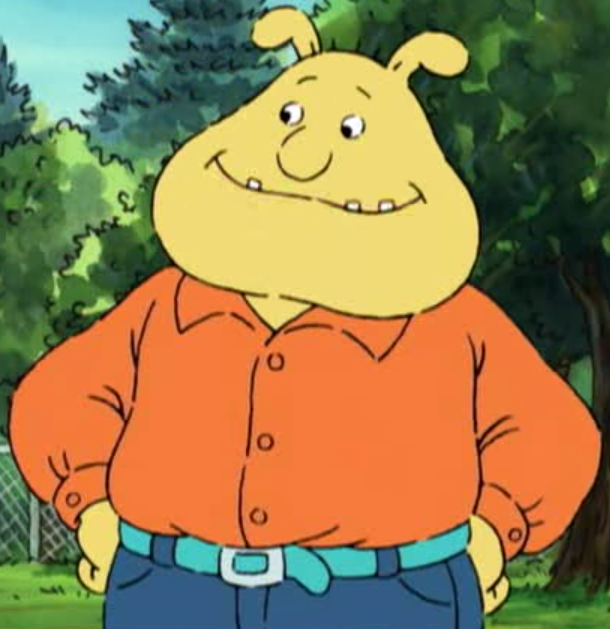 When taken individually, Binky’s various fears and suppressions show that he is an extremely round character, and certainly more complex than any children’s television show character before him. When viewed all together however, the truth that Binky is the most human character emerges. One of Binky’s great fears that he also suppresses, is his fear of the dark. This isn’t that uncommon, as Binky is only 10 years old, but as is common knowledge, Marc Brown doesn’t write simple characters. Binky’s fear of the dark should alert anyone well versed in 20th century psychology to Jung’s archetype of the shadow. As Binky attempts to suppress the literal shadows in his room, he is figuratively pushing out the negative emotions he can’t handle processing. In addition to the shame and self loathing outlined in the previous paragraph, the allusion to the shadow also implies Binky recognizes his own mortality. Friedrich Nietzsche in "The Gay Science" compares death to a shadow, “[a] gloomy traveling partner that stands right behind." Other characters have simple fears, like Buster who fears aliens, or D.W. who fears octopuses and squids. Binky on the other hand fears something far less tangible. Binky fears his own mortality. As a result, Binky breaks through, and transcends his role as a side character, and becomes a fascinatingly round and human character.